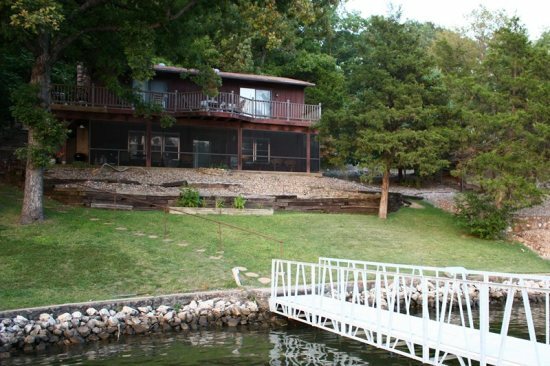 Property Pairings: Evening Rose & Sunset Cove | Crystal Water Villas Blog - Lake of the Ozarks! Are you tried of the same ‘ol family reunion at the same ‘ol location? Change things up and come to the Lake of the Ozarks for your next family gathering!! Two of our properties, Sunset Cove and Evening Rose, are close together so you can enjoy the beauty of the lake without the stuffy, cramped space of a hotel. Together, these properties will comfortably sleep 22 people!